By John Seal Sept. 18, 2018, 8:58 a.m. I have no idea when that little piece of doggerel about Lizzie Borden giving her mother 40 whacks first wormed its way into my brain, but it was certainly lodged there by the time I reached puberty. 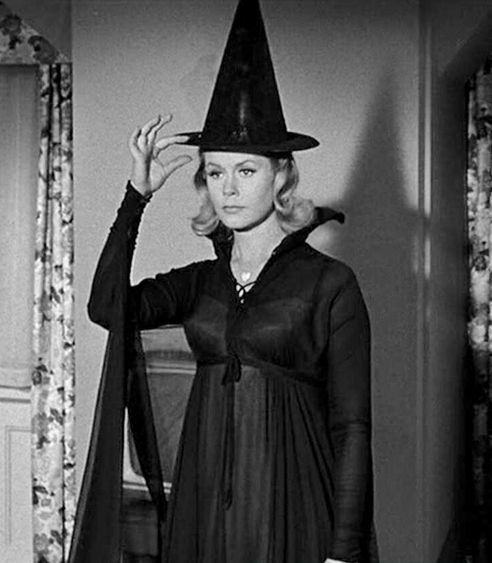 Perhaps it happened shortly after The Legend of Lizzie Borden – starring Samantha Stevens herself, Elizabeth Montgomery, as the legendary accused killer! – was first broadcast in 1975, because the lurid details were definitely being passed around the schoolyard the morning after. My guess is that 21st-century pre-teens aren’t familiar with the story, and would be quite surprised to learn that an 80-year-old unsolved double murder was still fascinating people during the 1970s — which makes the arrival of a new motion picture depiction of the Borden tale (Lizzie, opening at Landmark’s Albany Twin on Friday, Sept. 21) all the more baffling. Is there an audience for this film? That remains to be seen, of course, but the casting of Twilight star Kristen Stewart certainly suggests that writer Bryce Kass and director Craig William Macneill are hoping to acquaint a younger demographic with the tale. That they’ve managed to do so without greatly compromising historic accuracy or producing an exploitation flick is noteworthy: whether or not anyone shows up to see it, Lizzie is a pretty good film. A brief précis: on Aug. 4 1892, Abby and Andrew Borden were axed to death in their Falls River, Massachusetts mansion. The primary suspect was daughter Lizzie, who was arrested but ultimately acquitted by a jury likely more interested in avoiding embarrassment for their well-heeled community then in achieving justice. Having inherited her father’s fortune, Borden lived until 1927, eventually succumbing to pneumonia at the age of 66. By and large, Kass and Macneill stick to the facts, but every biopic needs a little embellishment or wrinkle to differentiate it from its predecessors, and this one is no exception. Expanding on a theory first suggested by crime novelist Ed McBain in the 1980s, the film posits that the murders may have been triggered by the discovery of a romantic relationship between Lizzie and the family maid. This is pure speculation and the film’s least satisfying narrative thread, but not a significant flaw. Chloë Sevigny plays the title role with grim visaged steeliness, her resentment of stepmother Abby (Irish actress Fiona Shaw, reminiscent here of the great Patricia O’Neal) – who stands to inherit her father’s fortune – casting an icy pall over the household. Nor is Dad a particularly pleasant fellow: as portrayed by Jamey Sheridan, he’s a grasping businessman who’s made his money by foreclosing on local farmers. To make matters worse, Andrew also takes advantage of the help — played by Stewart, clearly trying to shuck off the teenybopper image that brought her international fame. Her performance is decent but flat, though her Irish accent isn’t bad. Macneill is attentive to period detail: the Borden mansion reflects Andrew’s real-life lack of interest in Gilded Age amenities such as electric illumination. His film is blessedly quiet and eschews tricksy photography (shot in muted colors, there are no quick cuts or shakycam here), while Kass’s dialogue largely feels appropriate to its Victorian setting. Though I’m not sure the world needed another cinematic take on the story, I’m grateful that Lizzie is a serious attempt to tell it.